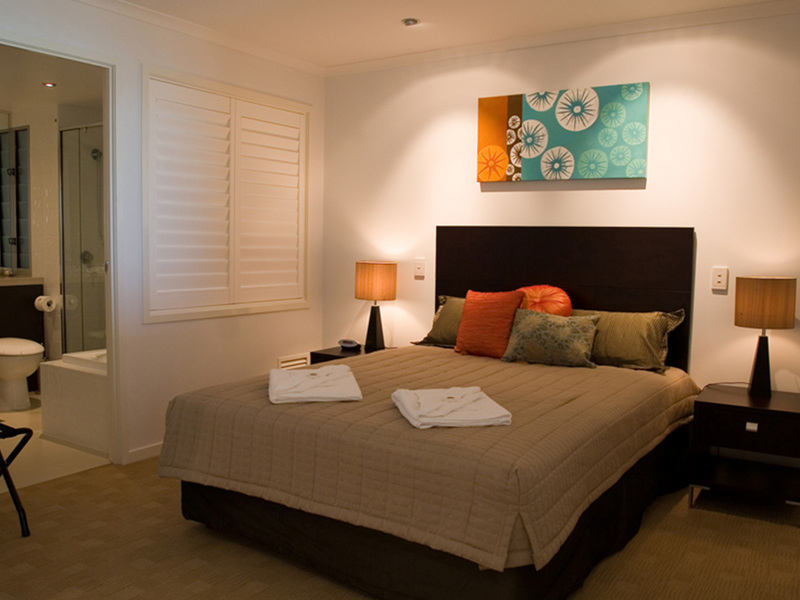 Valid for travel: 13 Jun - 20 Sep, 6 Oct - 20 Dec 2018 & 13 Jan - 30 Jun 2019. 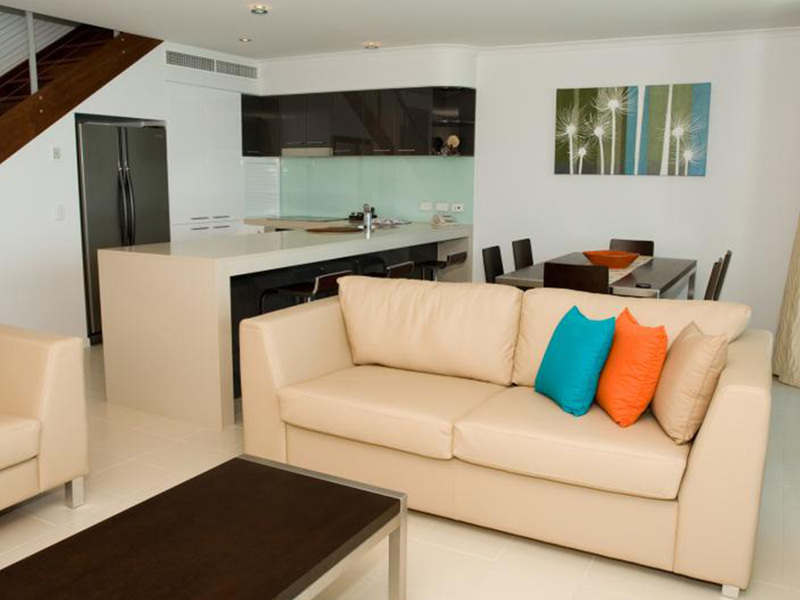 Valid for up to 2 people in a 1 Bedroom or 4 people in a 2 Bedroom. 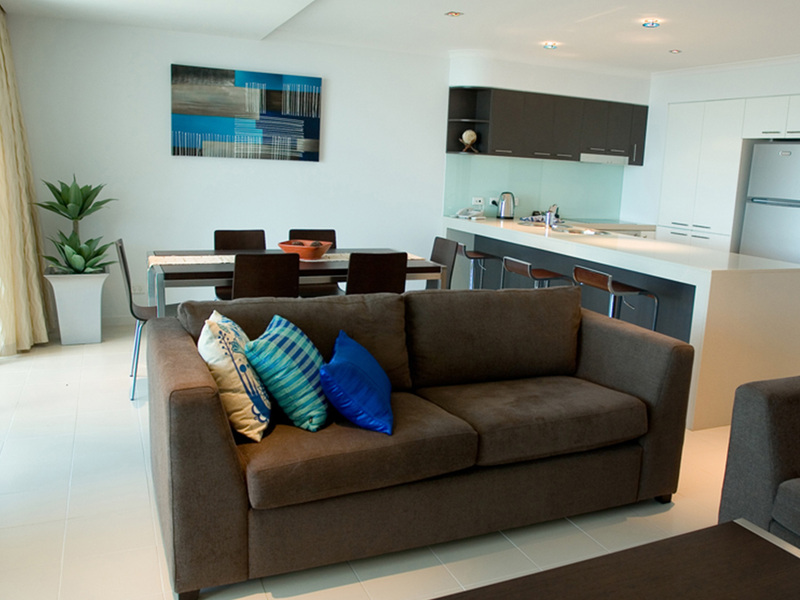 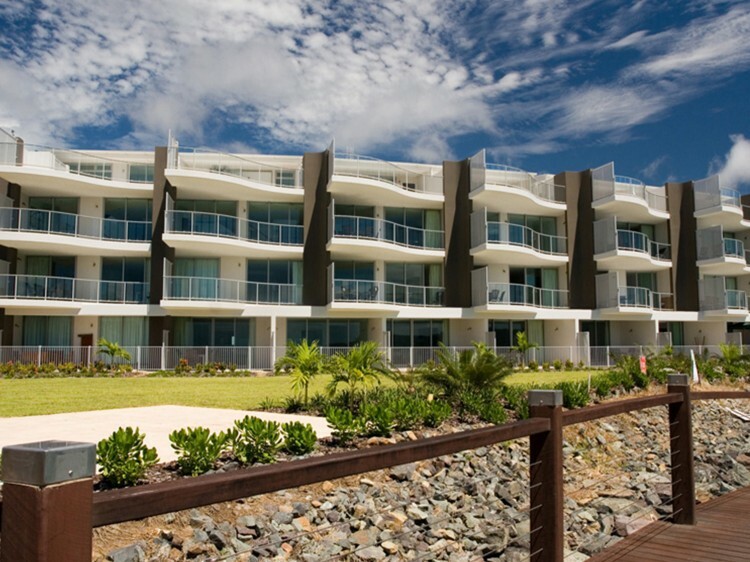 Designed by renowned Ken Down Architects, Marina Shores Airlie Beach delivers unparalleled levels of livability and accessibility. 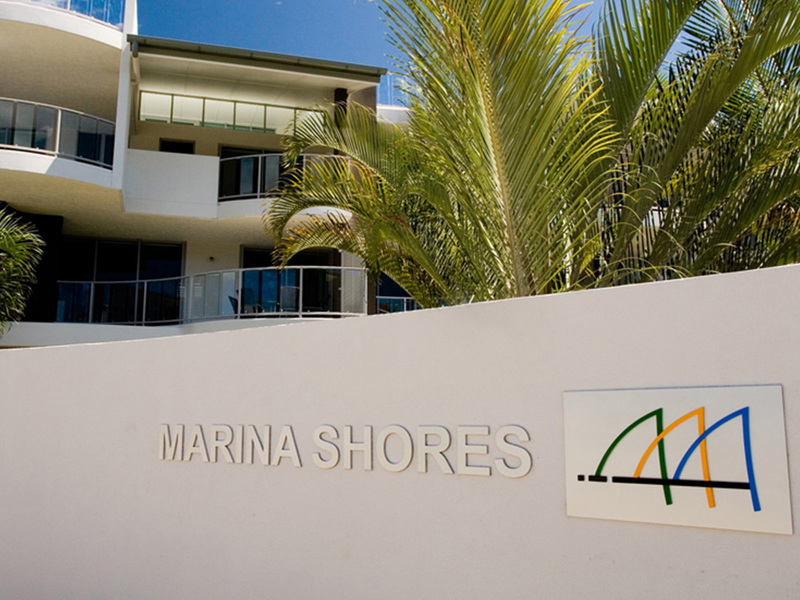 Marina Shores features a contemporary theme with gently curving forms ensuring wide frontages to complement its absolute waterfront setting. 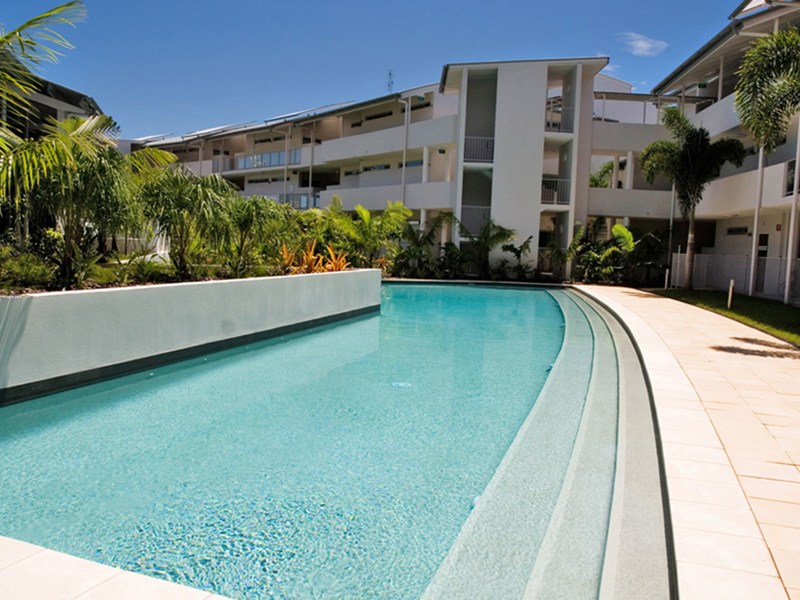 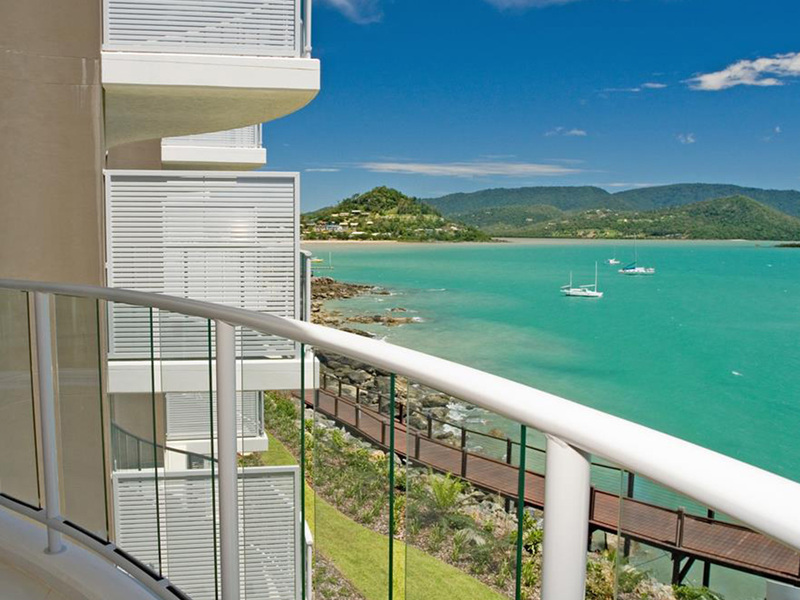 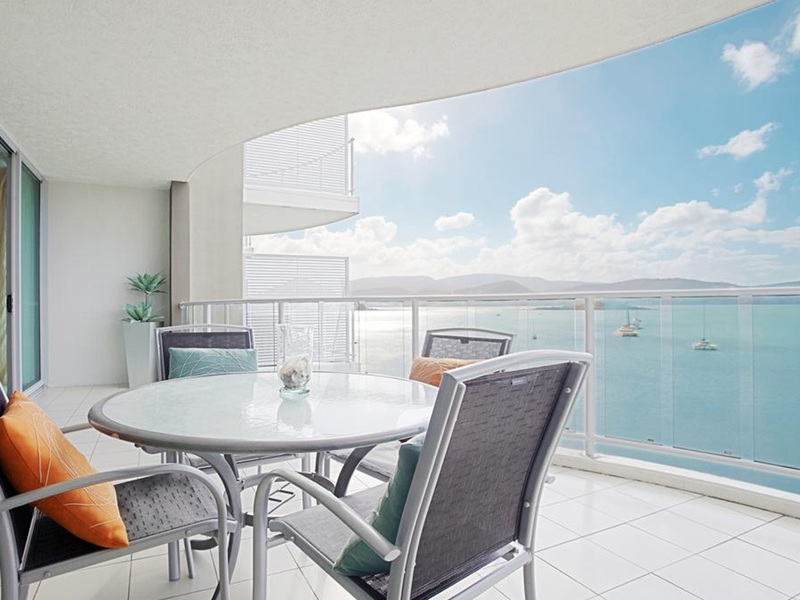 Opened in March 2007, 5 star Marina Shores absolute waterfront living is positioned in a prestigious oceanfront location in Airlie Beach. 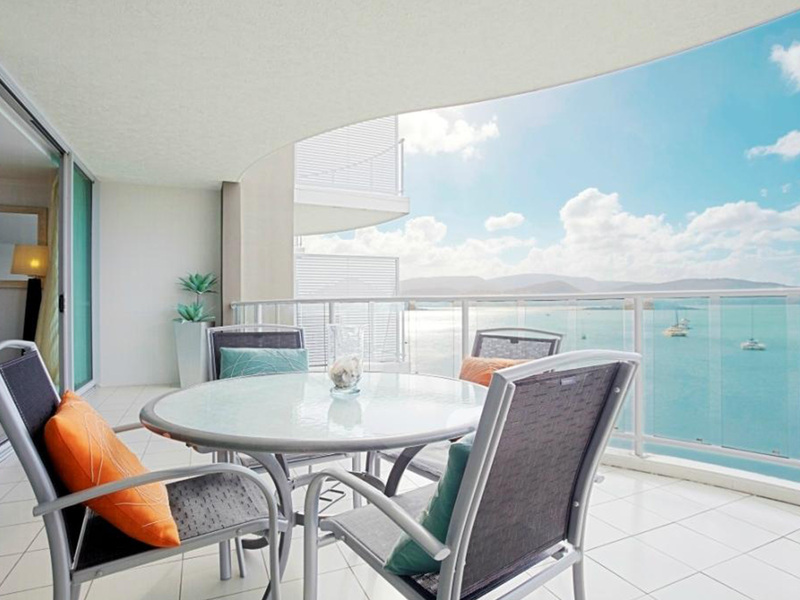 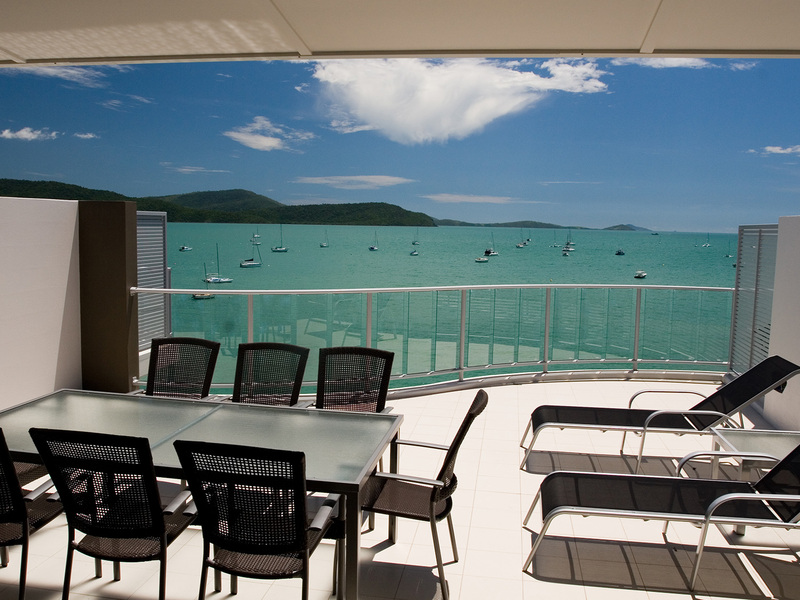 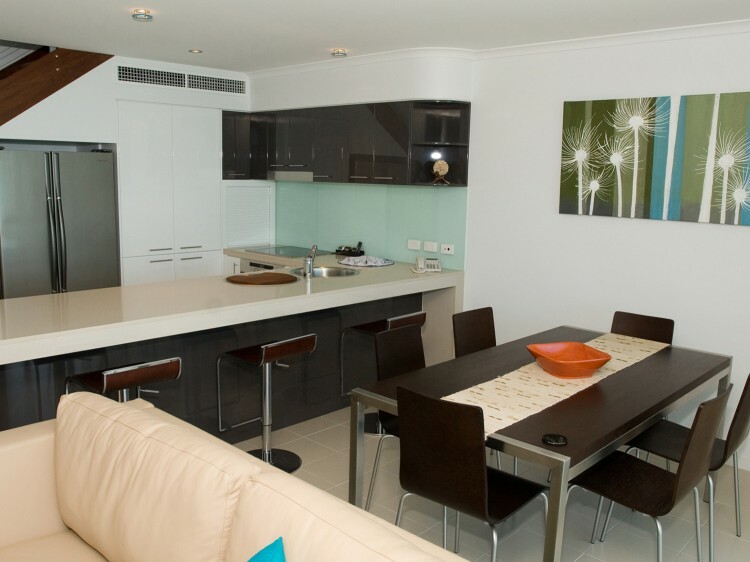 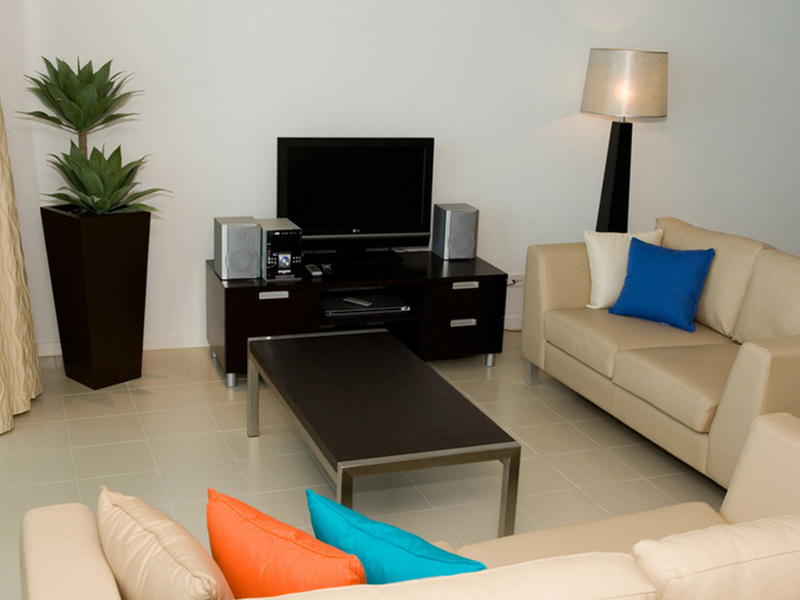 Consisting of 50 luxurious fully self contained apartments with views overlooking Abel Point Marina, the Coral Sea and to the Whitsunday Islands this is certainly a new standard of fashionable accommodation in Airlie Beach. 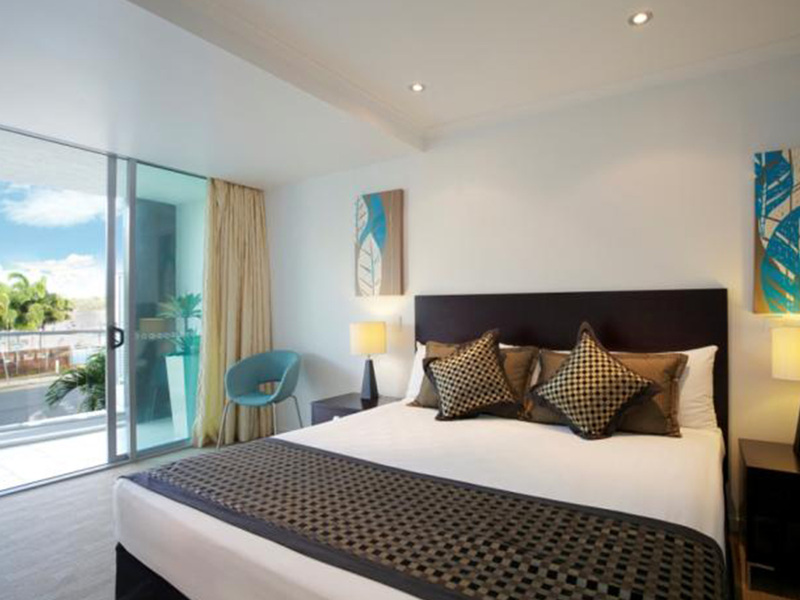 Marina Shores has been designed to be totally different in space, light and colour with vogue interiors, spacious balconies, state of the art lighting and a 30 metre pool with lush gardens ensuring each guests enjoys an oasis of luxury and tranquility. 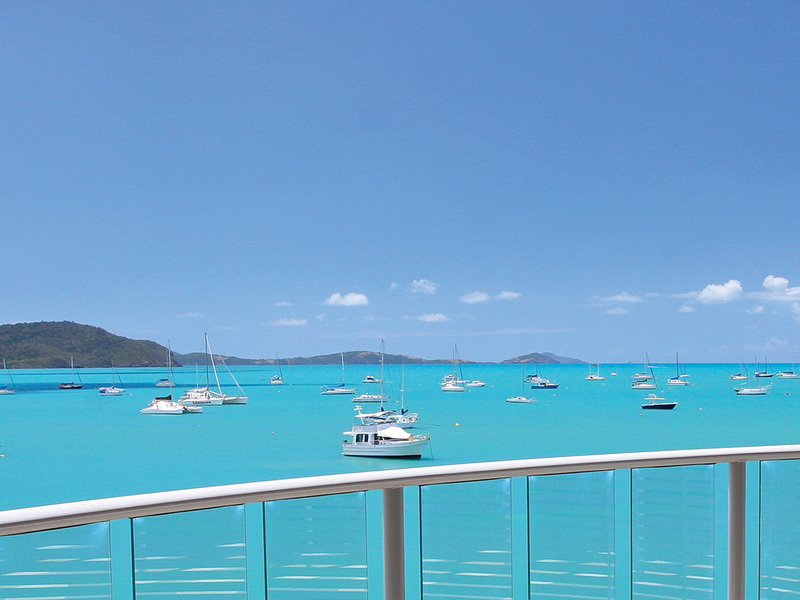 Just a 5 minute stroll along the seaside boardwalk to Abel Point Marina where all tours for the Great Barrier Reef, Whitehaven Beach and the Whitsunday Islands. 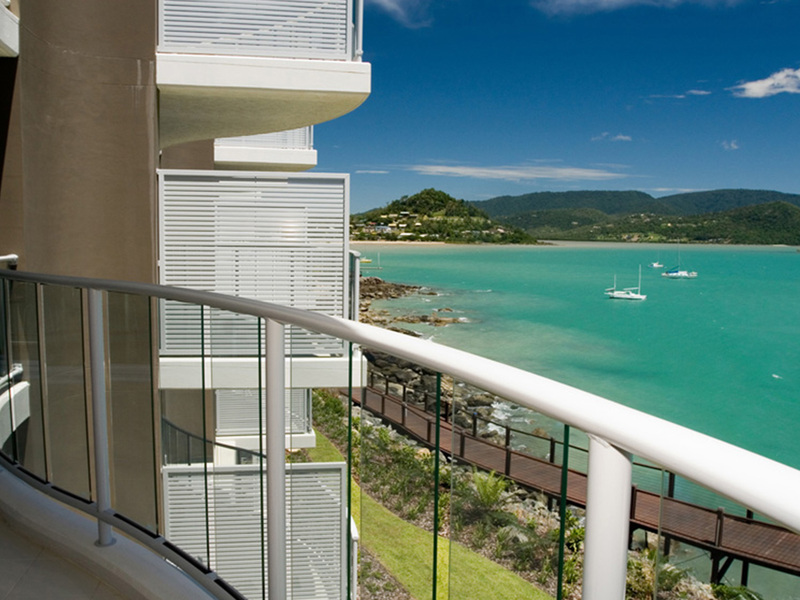 Further along the boardwalk is the cosmopolitan village of Airlie Beach, famous for its restaurants, bars, nightlife and boutique shopping.